StreamSpot extends the functionality of multi-streaming by allowing you to archive your stream, and having your stream available on AppleTV and Roku! Let us take a look at how to connect Restream to StreamSpot! 1. 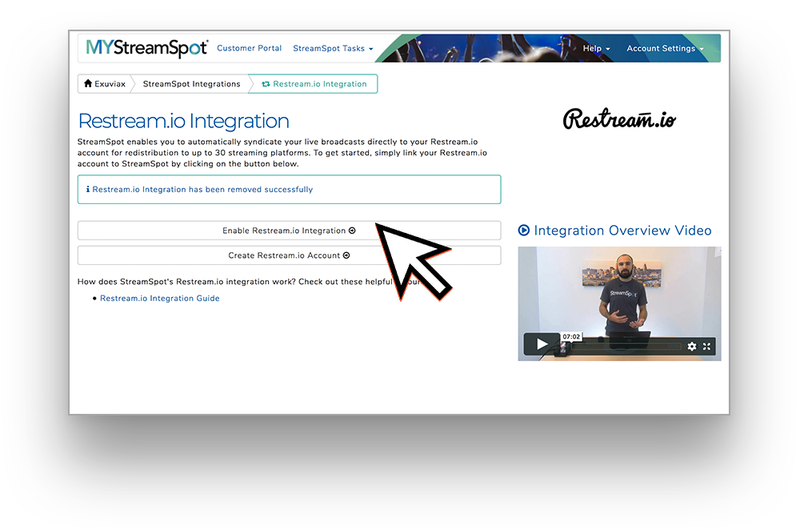 Scroll down to the "Syndication" section of your MyStreamSpot Dashboard and click "Restream" at the bottom. 2. 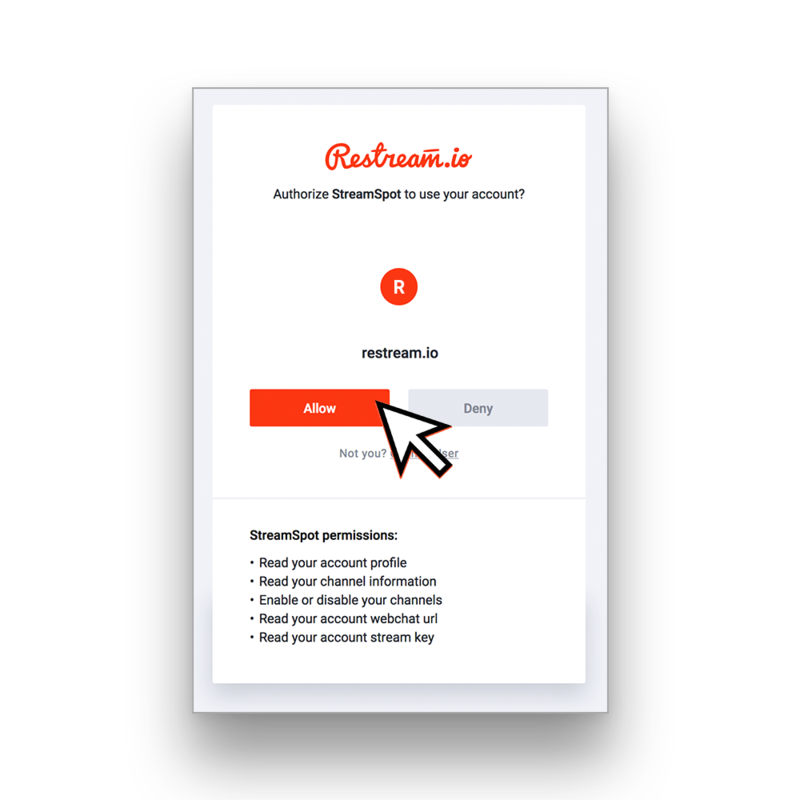 Click on "Enable Restream.io Integration"
4. 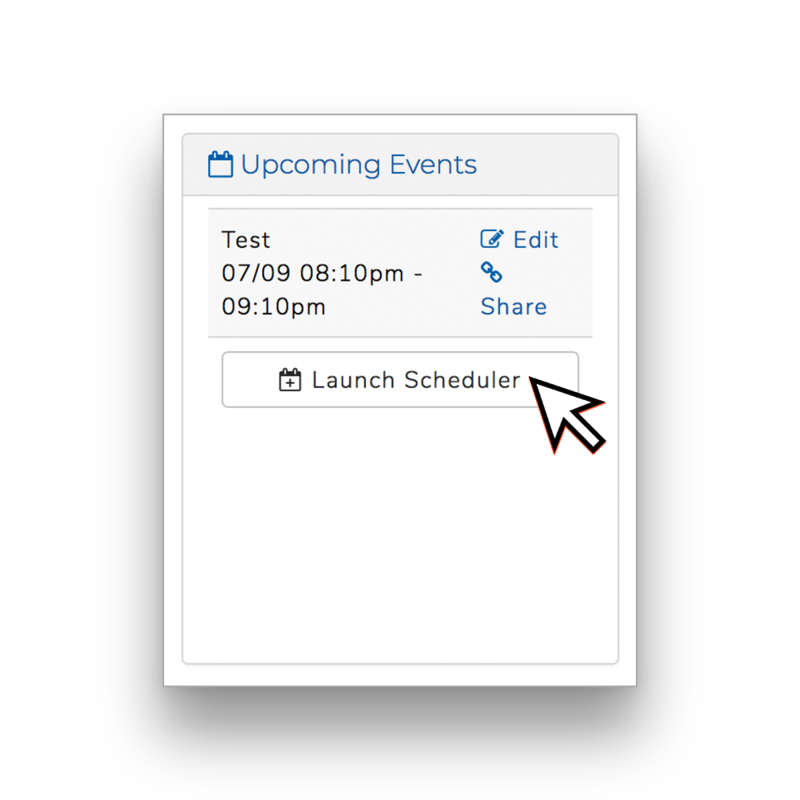 Go back to your MyStreamSpot Dashboard and click "Launch Scheduler." 6. Setup the event with a time, title, description, etc. and change Restream to "Yes." Then click "Add Broadcast." 7. 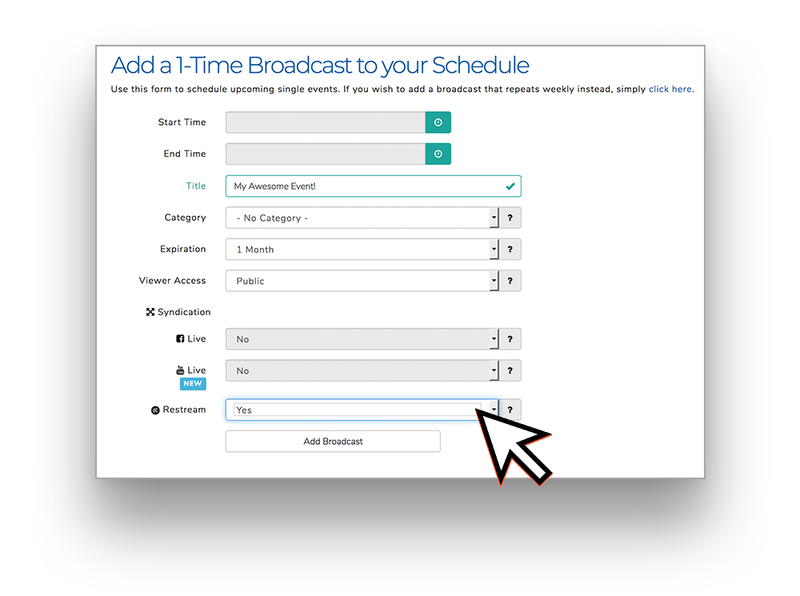 Setup your broadcasting equipment using StreamSpot's guides. You're all done! 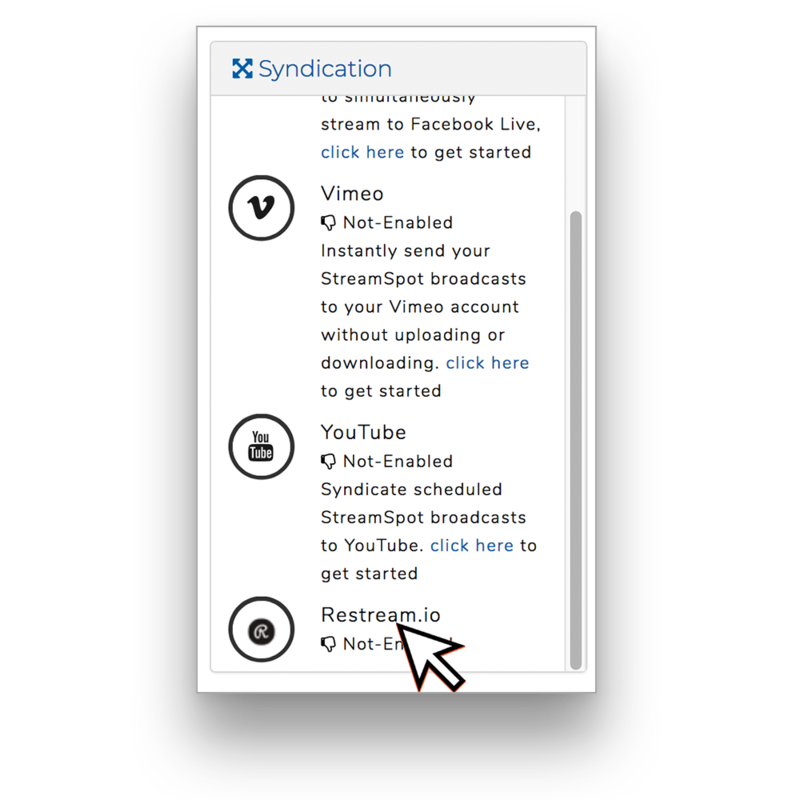 Start streaming and watch as your stream is delivered to StreamSpot followed by Restream and your connected platforms.